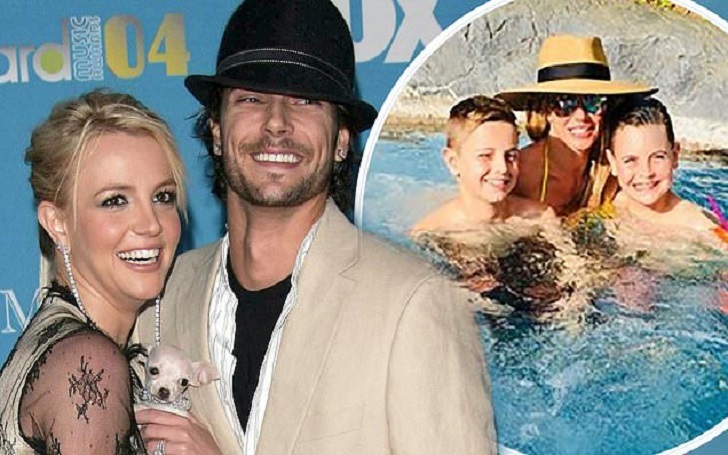 Britney Spears’ sons, Sean, 13, and Jayden, 12, are with her ex-husband, Kevin Federline, while she is seeking treatment at a mental health facility. A source told Us Weekly that the singer, 37, is in a "wellness center that prioritizes physical, mental and spiritual well-being" and the rapper, 41, "has the boys." The insider added that the father "is considering going back to court for increased child support payments" for their kids. As previously reported, the songstress checked into a mental health facility on Wednesday, April 3. An insider says that she "will be there for a few weeks". Noting that her boyfriend, Sam Asghari, is praising and supporting her, the source added, "Britney’s sons are in the full-time care of their dad, Kevin, for the time being." Britney, who was in a three-month break from social media, returned to Instagram on Wednesday and shared a quote that read, "Fall in love with taking care of yourself, mind, body, spiritthe." She captioned the post, "We all need to take time for a little ‘me time.’ :)." Britney and Kevin became married in 2004 and got a divorce in 2007. The former couple finally reached a child support agreement in September 2018. The songstress agreed to give the DJ a "significant increase" in his monthly payments.